You can have a family trait but if you do, all children must get the trait on their teen birthday. Autonomy must be full and sims must age. You can only direct a sim to fulfill a need if it is in the red and you must do so by clicking on the need for them to sort out their need themselves. You can direct them to go to work or school, you don’t need a wish to do so. You can also chose a work tone. For Professions, you can do the tasks asked but are not allowed to socialize unless it is a wish or task. You can also do their daily task for work. No skilling unless there is a wish for it or it is part of a task for work. Get Together- Can Join club if there is a whim or invited, can go to club gatherings if there is a whim or invited but it is up to the sims actions or whims what happens at the gatherings, When Invited out can go but cannot direct sim to do anything unless there is a Whim. Sometimes you may need help to have children, that is where the subistute try for baby instead of woo-hoo comes in. you can only do this if your sims wishes to woo-hoo with a sim that they have already woo-hooed with then you use try for baby instead. No cheats or Mods for Changing Moods, adding money. You can add mods for risky woo-hoo if you want. You can choose Heir/Heiress any way you like and they take over on their Young Adult Birthday. Each Founder/Heir should achieve at least one aspiration before next heir takes over or heir has to wait until one is completed. Once chosen aspirations can’t be changed until completed. Other members of the household still can only do whims and their needs can only be fulfilled if they are in the red. Baby/Toddler care- an older sim can take care of their needs if their needs are in the red. For Babies when they are in the sad emotion. Reward- Once 1st Aspiration is completed, you get a whole 24 hours sim hours of controlling your sim. Also can accept outings out if asked but cannot socialise unless a whim appears. Concerning Dates- Can do all tasks but must have whim or be asked to go on one. Helpful Hint- Ougoing and Romantic traits are good to have for your sim to want relationships. Maybe Family Oriented, I haven't tested that. You can bake birthday cakes to age sims up but only on their actual birthday, not before. Last edited by skyegal23 on March 4th, 2018, 2:18 am, edited 7 times in total. I'm going to try this out immediately, it sounds perfect for me to break some of my control freak habits. Hehe. I'm slightly nervous about fulfilling an aspiration based only on the whims and autonomy of the sim but I'm excited to try. Edit: Question! Can you direct them to get a job or is that also whim dependent? 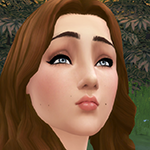 My name on the TS4 gallery is Kotabuck. No they must have a whim to get a job.